What would you think of a 512K Macintosh-like computer faster than an IBM PC for under $600? Or a 3½-inch disk drive for under $150? Or a 15-megabyte hard disk for $399? Atari stunned the industry with these announcements and more at January's Consumer Electronics Show (CES). Commodore made plenty of noise, too, and together they gave everyone a glimpse of personal computing's next and best generation. PCjr, $599: IBM, Is This Price Right? Macintosh, $2195: Does Apple Need This Big A Bite? Welcome To Atari Country -Regards, Jack. Underneath were pictures of a Little Tramp bowler hat and a bright red apple, skewered by arrows, sitting atop the new Commodore 128 Personal Computer. "At last, the $4 billion stranglehold on the personal computer market has been broken," trumpeted the ad copy. CES is anything but subtle, and these were merely the opening punches in what was probably the personal computer industry's most fascinating CES ever. Atari displayed a series of incredible computers at even more incredible prices that would seem impossible coming from anyone but Jack Tramiel. Commodore introduced a pair of new computers that would have won center stage at any other CES, if Atari hadn't stolen the spotlight. Thirteen Japanese companies coordinated their long-awaited debut of MSX-standard computers, but then stumbled badly by suggesting that their actual invasion of the U.S. market might be postponed yet another year. In another case of poor timing, Coleco cast out the Adam on the eve of CES, transforming its expensive exhibit into a paradise lost. Apple rented booth space at the show, but then rolled out at the last minute. And IBM decided not to come at all. After the plague year of 1984, the first trade show of 1985 seemed to indicate that the industry shakeout may finally be ending. Texas Instruments, Mattel, Timex, Coleco, and numerous others are gone or severely weakened, leaving only a handful of surviving contenders. IBM and Apple dominate what is called the "high end," leaving Commodore and Atari to carve up what is called the "low end." But traditional market boundaries, too, may be a victim of the shakeout. Above all else, this CES demonstrated that convenient terms like "low end" and "high end" are becoming as obsolete as the machines which now define them. The next generation of personal computers appears to be at last on its way. The brains of the new ST series computers is the Motorola 68000 microprocessor, the same 16/32-bit chip found in the Apple Macintosh. Clocked at eight megahertz, the 68000 central processing unit runs nearly twice as fast as the 8/16-bit 8088 chip that drives the IBM PC, PC-XT, and PCjr. The Atari 130ST and 520ST are mutually compatible and share most features in common, including 192K of Read Only Memory (ROM), expandable to 320K ROM with a plug-in cartridge; 512 colors; graphics modes of 320 X 200 pixels (16 colors), 640 X 200 pixels (four colors), and 640 X 400 pixels (monochrome); Centronics-standard parallel interface; RS-232-standard serial interface; floppy disk drive interface; hard disk interface; Musical Instrument Digital Interface (MIDI) for hooking up external synthesizers; two Atari-type joystick ports (one of which doubles as the mouse interface); TV output; composite color video output; monochrome video output; RGB (red-green-blue) high-resolution color video output; three-voice sound synthesizer with variable waveforms and envelopes; 94-key typewriter-style keyboard with separate numeric keypad, cursor keypad, and ten special function keys; Tramiel Operating System (TOS) in ROM; and Graphics Environment Manager (GEM) in ROM. 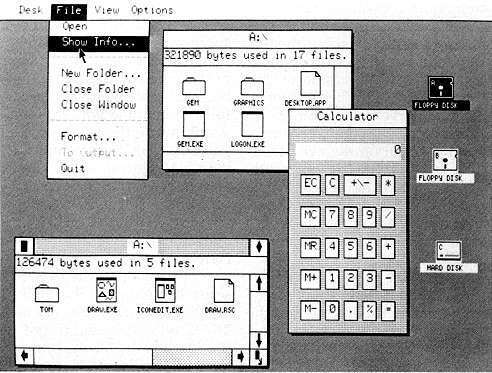 GEM is the Macintosh-like operating system interface originally developed for MS-DOS computers and licensed to Atari by Digital Research. GEM shields users from cryptic operating system commands by providing onscreen icons, dropdown menus, windows, and support for a two-button mouse controller. It also supports a realtime clock, hi-res vector drawing, and spritelike animation called bit block transfer. GEM bears an uncanny resemblance to the Macintosh's operating system; except for the color graphics, at a glance it's hard to tell a GEM screen from a Mac screen. The only differences between the Atari 130ST and 520ST are the amount of Random Access Memory (RAM) and the price. Including all the features mentioned above, the 130ST has 128K RAM and will retail for $399; the 520ST has 512K RAM and will retail for $599. Atari says both computers should be available in the second quarter of 1985. If you think those specifications and prices are hard to believe, wait until you hear about the peripherals. For the ST series, Atari announced a 3½-inch microfloppy disk drive that will retail for un der $150, possibly as low as $100. This drive uses the same Sony-standard disks as the Macintosh. The single-sided version stores about 250K; a doublesided version (to cost slightly more) stores about 500K. Even more incredible was Atari's announcement of a hard disk drive for the ST series (and, under the AtariSoft label, for other brands of computers). When the show opened, Atari said it would sell a 3½-inch, nonremovable, 10-megabyte hard disk for under $600. That was amazing enough. Then a day later, speaking to a group of software publishers, Tramiel amended that announcement to a 15-megabyte hard disk for $399. Coupled with an ST, either hard disk at anywhere near those prices would add up to unheard-of power in an affordable computer. The ST's built-in hard disk interface transfers data at 1.33 megabytes per second, about 100 times faster than a typical Macintosh hard disk. That means you could fill up a 520ST's entire 512K of RAM with a program or data in less than half a second. Or instantly page-flip between full-color, hires graphics screens from disk rather than from memory. Not only are the ST computers far more powerful than existing home computers, they also potentially surpass the capabilities of most of today's 16-bit business computers. By promising the virtual equivalent of a "Fat Mac" with color for less than one-third the price, Atari is threatening to redefine the whole marketplace. Assuming that Atari can really deliver on its promises-and even in Las Vegas, not many people were taking odds against Jack Tramiel-a single computer selling for under $1,000 will be capable of tackling everything from videogames to the most sophisticated business programs. Tramiel put it this way: "We aren't selling home computers. We aren't selling business computers. We're selling personal computers. People can use them for whatever they want." the ST series. The 130XE, 65XEM, and 65XEP are similarly styled. Some observers were skeptical because the ST machines at CES were prototypes, not production models (not uncommon at trade shows). 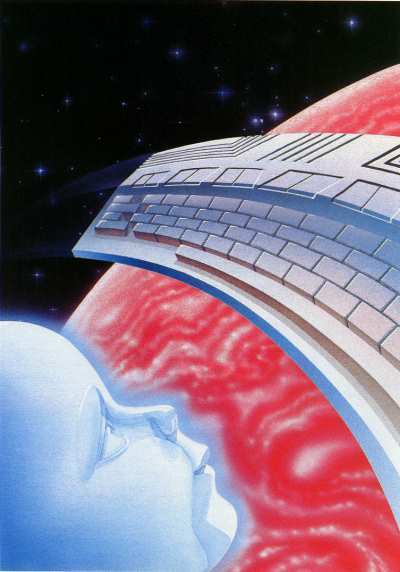 Atari still had not decided on certain critical features, such as whether the STs would include a built-in programming language, and if so, whether that language would be BASIC or Logo. The operating system wasn't completely finished, either. And like any new computer, the ST series may well suffer from a shortage of software during its first year, as has the Macintosh. Still, Tramiel told software publishers at CES that there would be enough preproduction STs to go around in the first quarter to get things rolling. He offered technical and even financial assistance to promising software developers. And he said that when the new computers hit the market, Atari itself would introduce 20 to 30 software packages ranging from entertainment to education to business programs. Some people are starting to refer to Tramiel as the Lee Iacocca of the personal computer industry, but The New Atari still has a long way to go. Haunted by the biggest corporate losses since Chrysler's dim days-and without the safety net of government loans-Atari is betting everything on the success of its new machines. Although they were overshadowed by the ST series, Atari's four new eight-bit computers also were impressive. Dubbed the XE series (XL Extended), they are designed to be fully compatible with the older Atari 400/800 and XL series. Atari says some of the models already are in production and will be available in the first quarter. First is the 65XE, basically an 800XL without the rear parallel interface connector (rarely used, anyway). The 65XE has 64K RAM, built-in BASIC, 256 colors, a four-voice sound chip, 11 graphics modes, five text modes, player/missile (sprite) graphics, international character set, a cartridge slot, serial bus for disk drives and other peripherals, two joystick ports, and all the other traditional Atari features. 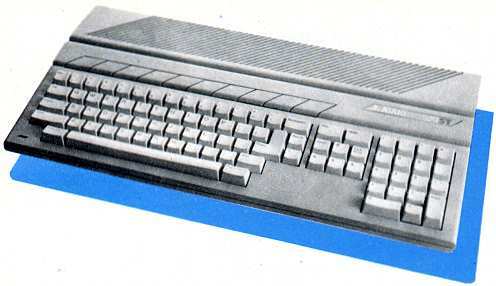 The redesigned case closely resembles that of the ST series computers, and the keycaps show the Atari graphics character set (a la Commodore). The retail price will be $99. There were conflicting reports, but it appears that the 65XE will replace the 800XL. Next in line is the 130XE, a 65XE with 128K RAM and the rear parallel connector. The 130XE will sell for about $150. The third new eight-bit machine is an interesting variation of the 65XE called the 65XEM (XE Music Computer). It's a 65XE with an additional sound chip, the new eight-voice "Amy." Unfortunately, this was the only new computer Atari didn't exhibit at the show. However, those who have heard Amy say it outperforms even the SID synthesizer chip in the Commodore 64. Amy has a dynamic range exceeding 60 decibels, a frequency range of nearly 11 octaves from 4.8 hertz (far below human hearing) to 7.8 kilohertz, frequency resolution of 1/64 semitones, 64 harmonics, and many other features. Reportedly it can synthesize almost any musical instrument sound. The 65XEM will sell for about $150. Finishing up the XE line is the 65XEP (XE Portable). It's really a transportable version of the 65XE and Atari's variation of the Commodore SX-64. The 65XEP packs all the 65XE features into a suitcase-sized package whose detachable lid becomes the keyboard. It contains a 5-inch green-screen monitor (instead of the SX-64's color monitor); a 3½-inch microfloppy disk drive (instead of the SX-64's 5¼-inch drive), and-unlike the SX-64-a rechargeable battery pack good for about three hours of use between charges. Atari says the 65XEP will sell for $399. Atari users might be wondering why the 65XEP has a 3½-inch drive instead of the usual 5¼-inch drive. According to Leonard Tramiel, Atari has found a supplier who can make 3½-inch drive mechanisms cheaper than 5¼-inch mechanisms-and the microfloppies actually have more storage capacity. The 65XEP retains the standard Atari serial bus, so an Atari user who buys an XEP as a second computer could plug in a 5¼-inch drive and transfer his existing software onto the microfloppies. The 3½-inch mechanisms also are likely to show up in outboard drives for the other XE models as well as older Atari computers. • XM148 monochrome monitor with built-in 80-column video adapter for the XE series and existing Ataris. This plugs into the serial bus and brings 80-column capability within reach of all Atari owners. It was shown on a 65XE running AtariWriter Plus, a new 80column version of the popular AtariWriter word processor cartridge. Estimated price: $150. • XC 141 14-inch composite color monitor for the XE series and existing Ataris. Estimated price: under $250. • XM301 300 bits-per-second, direct-connect modem. Estimated price: under $50. • Six printers for the XE series and existing Ataris, including the XTM201 dot-matrix thermal, 20 characters per second (about $99); the XTC201 dot-matrix color thermal, 20 cps (about $99); the XDM121 daisywheel letter-quality, 12 cps (about $150); the XMM801 dotmatrix, 80 cps (about $150); and two redesigned printers, the 1025 dot-matrix and 1027 letterquality (about $150 each). • Two monitors for the ST series, including the SM124 hires 12-inch monochrome monitor (one prototype had a built-in 3½-inch disk drive); and the SC1224 RGB 12-inch color monitor. Estimated prices: under $200 (without drive) and under $300, respectively. • Three printers for the ST series, including the ST504 dotmatrix color thermal, 50 cps (about $150); the SDM124 daisywheel letter-quality, 12 cps (about $200); and the SMM804 dot-matrix, 80 cps (about $150). Atari won most of the attention at this CES, but the Commodore exhibit featured two interesting new computers and was consistently crowded, too-an indication that Commodore is still on its feet after the tumultuous events of the past year. The phenomenally successful company that Jack Tramiel founded three decades ago and then left in January 1984 after a management dispute has experienced a lot of turnover in the past 12 months. Numerous executives and engineers have defected to join Tramiel at Atari (so many, in fact, that some people call the new Atari "the new Commodore"). Commodore also has been struggling with its Plus/4 and 16 computers, and now faces more aggressive pricing from its resurrected competitor. Still smarting from widespread criticism over the Plus/4, Commodore was careful to make its newest desktop computer Commodore 64-compatible. Named the Commodore 128 Personal Computer, it's actually three computers in one. It contains a complete Commodore 64, with 6510 micro-processor, VIC-II video chip, SID synthesizer chip, and 64K RAM; a 128K RAM computer with an 8502 (6502/6510compatible) microprocessor and 40/80-column video; and a 128K RAM computer with an eight-bit Z80A microprocessor and 80-column video that is compatible with software designed for the CP/M operating system (Control Program for Microcomputers). The Commodore 128 is expandable to 512K RAM in 128K increments, although the extra memory must be used as a RAM disk, not contiguous program memory. Commodore announced no prices at the show, but indications are that the Commodore 128 will retail for under $300. It is scheduled for introduction in April or May. Obviously, the Commodore 128 is much more than just the 128K RAM version of the Commodore 64 that was anticipated. When first switched on, the machine defaults to the 128K RAM 8502 mode. You can select 40-or 80-column video in this mode, but graphics and sprites are available only in 40-column video. To enter CP/M mode, you load a CP/M 3.0 disk that comes with the machine. To enter Commodore 64 mode, you type GO 64. The screen blanks for a few seconds, then flips to the standard Commodore 64 title screen. Once in 64 mode, there's no way to exit without rebooting the computer. This was done to keep 64 mode completely compatible. Otherwise, the operating system would have to be changed to accept a command such as GO 128. For the same reason, 80-column video is not available in 64 mode. So how compatible is it? "We didn't change a single byte in the Kernal," said one Commodore engineer. Although COMPUTE! didn't have time at CES for exhaustive tests, we did successfully run the SpeedScript 3.0 word processor in 64 mode. 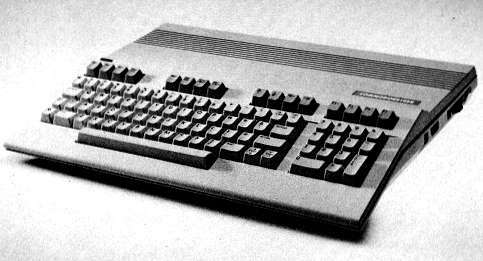 The Commodore 128 has two built-in BASIC languages-the usual BASIC 2.0 in 64 mode, and BASIC 7.0 in 128 mode. BASIC 7.0 is the most powerful Commodore BASIC ever, with the same BASIC 4.0 disk commands found on the CBM 8032 and Plus/4, plus sound and graphics commands like those found in the Super Expander 64 cartridge. In CP/M mode, a wide variety of disk-based languages are available, including compilers and assemblers. Other Commodore 128 features include: 92-key typewriter-style keyboard with separate numeric keypad, two sets of cursor keys, four special function keys, and other new keys labeled ALT, ESC, TAB, CAPS LOCK, HELP, LINE FEED, 40/80 DISPLAY, and NO SCROLL; TV output; composite color video output; RGB video output; chroma/luma video output; audio output; 16 colors; machine language monitor; and all the same ports and interfaces found on the Commodore 64.
ing a 64K Commodore 64, a 128K Commodore 64, and a Z80 CP/M computer. The Commodore 128 is not as powerful as the new Atari ST series, but it embodies a similar philosophy: Offer an all-in-one computer that can tackle a wide variety of home, personal, and business applications-at an affordable price. With its Commodore 64 mode, the Commodore 128 already has a large up-to-date pool of educational, entertainment, and personal productivity software. In 128K mode with BASIC 7.0, it's much easier to program than a Commodore 64. And in CP/M mode, thousands of serious application programs are available. Although CP/M has been superseded by MS-DOS in the IBM PC-compatible business world, CP/M remains adequate for many small business tasks. Complementing the Commodore 128 are some interesting new peripherals. Foremost is the 1571 disk drive, a versatile device itself. When the Commodore 128 is in 64 mode, the 1571 acts just like a 1541-it stores 140K per 5¼-inch floppy and is somewhat slow. But when you switch the computer to 128K mode, the 1571 speeds up considerably-about fivefold, in fact. It also operates as a double-sided drive in this mode, storing 350K per disk. Finally, when the Commodore 128 is switched to CP/M mode, the 1571 speeds up even moreabout 12 times faster than a 1541-and increases storage to 410K per disk. In addition, in CP/M mode the 1571 can read CP/M disks in IBM System 34 format, including Osborne and Kaypro disks. As if that weren't enough, the 1571 also works with the Commodore 64 and Plus/4 (in 1541 mode only), and with Commodore's new portable computer. Two new monitors were announced for the Commodore 128: the 1901 Monochrome Monitor (ideal for 80-column business applications), and the 1902 RGB/Composite Monitor, which can display readable 80 columns in color. Commodore also showed a prototype of a mouse controller for the 128, but was unsure when the product would be marketed. No prices were announced for any of these peripherals, but all are scheduled for introduction at about the time the 128 hits the stores. Not exhibited at CES but promised for later this year was the 1670 Modem, a 300/1200 bps unit that may be sold for as low as $100. The 1670 works with the Commodore 64, 128, and Plus/4, and also has autoanswer/autodialing and automatic baud rate switching. 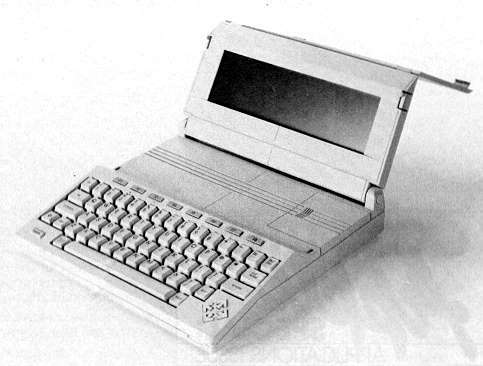 Commodore's new portable computer-the Commodore LCD-attracted at least as much attention as the 128, which surprised some company executives. A second-generation lap portable, the Commodore LCD has a flipup 80 X 16 liquid-crystal display that's the fastest we've ever seen. When closed, it forms a cover that protects the 72-key typewriter-style keyboard. Standard features include an eight-bit 65C102 microprocessor; 32K of RAM and 96K of ROM; RS-232-standard serial port; Centronics-standard parallel port; bar code reader interface; serial port compatible with Commodore 64 peripherals and the 1571 disk drive; memory expansion port; 300-bps autoanswer/autodial modem; BASIC 3.6; machine language monitor; and eight built-in programs. There's a word processor, notepad, spreadsheet, file manager, terminal emulator, calculator, scheduler, and address book. However, the Commodore LCD at the show was a prototype and not all of these programs were working. Small enough to fit in a briefcase, the Commodore LCD weighs about three pounds. It runs on four AA batteries or an external power supply, and maintains data in RAM even when the computer is turned off. Estimated price is about $600-very competitive with lap portables already on the market. Another important Commodore announcement at CES was a new service network consisting of 160 RCA service centers, about 800 Sears stores, and nearly 1300 other locations such as computer shops. They will service Commodore computers and peripherals, in or out of warranty, beginning in March. play, 32K RAM, internal modem, and eight built-in programs for under $600. Although it was an impressive Winter CES for Commodore, the company is saving its most powerful machine for later this year: the Amiga Lorraine. A prototype of this advanced computer was glimpsed at the last CES when Amiga was still an independent company searching for funding. In an acquisition that snatched Amiga from underneath Jack Tramiel's nose (and provoked a lawsuit), Commodore gained rights to market the Lorraine. 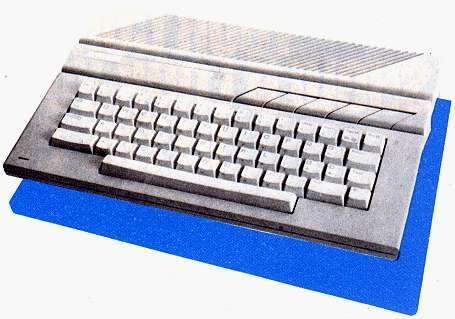 The Lorraine is similar in power to the Atari ST series and uses the same 68000 microprocessor. But it may offer even more features, such as voice synthesis, better graphics and sound, and greater expandability. IBM and Apple are, of course, watching all these developments closely. Neither of these giants, despite the aggressive price/performance challenges from Atari and Commodore, is expected to drastically slash prices. The infamous 1982-83 price war that blasted Texas Instruments and severely damaged Atari is fresh in everyone's mind. For the next few months, at least, Apple and IBM are expected to play wait-and-see.